Upgrade now and get cash back on select HP DesignJet printers! During the HP DesignJet Cash In & Trade Up October 2018 promotion (October 1– October 31, 2018), you can get up to $3,500 cash back on qualifying HP DesignJet printers! 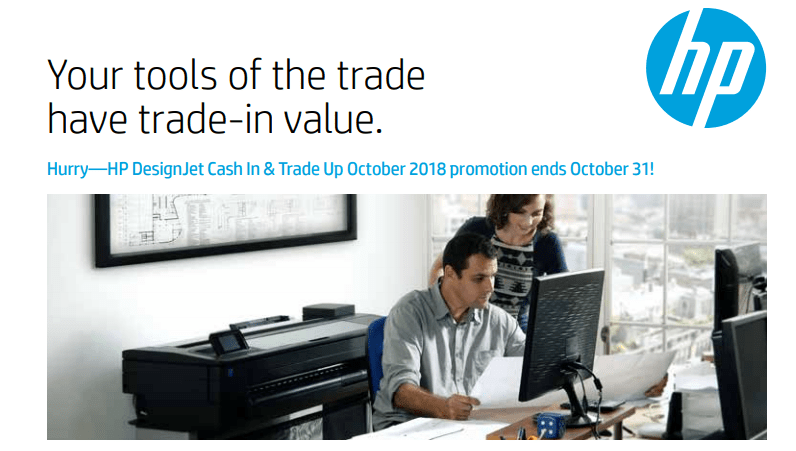 Click here for details on the HP DesignJet printers Cash In & Trade Up October 2018 promotion.